Few destinations in New Zealand walk the line between providing their visitors with an adrenaline rush, some highly accessible sightseeing and pure relaxation as well as Taupo – a lake resort area smack-bang in the middle of NZ's North Island – does. Featuring a massive lake from which it derives its name and surrounded by a variety of contrasting scenery from wild river rapids to lush national park and steamy geothermal areas, the Taupo region opens up opportunities for adventure of all kinds to offer a massive variety of things to see, do, and experience. Offering completely different focuses in the summer and winter seasons, Taupo allows visitors to enjoy the best of both worlds of New Zealand; summer is all about the water, with both the lake and its numerous nearby falls and tributaries offering a range of experiences for those looking to get out and about – fishing, sailing, jet boating, kayaking and more are all on the cards here. Winter sees things shift to snow sports, with easy access to nearby ski fields, and also taking advantage of its geothermal activity to enjoy naturally heated pools and springs to erase the chill from the bones while overlooking some spectacular scenery. Whether you're planning to embrace adventure or dial things back and simply absorb the beautiful surrounds, here's our list of recommendations for the top things to do in Taupo, NZ. All the water in the Taupo region has to go somewhere, and this is exemplified to the fullest in dramatic fashion by the rushing expanse of Huka Falls. One of New Zealand's most visited natural attractions – and with good cause – Huka Falls' sheer power is amazing; over 220,000 litres of water are pumped through their 100m-wide opening on the Waikato River before emptying their contents into the awaiting maw of Lake Taupo. The falls combination of force and striking colour are a large part of what makes them unique, with the bright blue a result of air bubbles in the water causing it to appear an even more intense colour than solely reflected by the sky. There are plenty of ways to enjoy the falls, with the best being from one of its viewing platforms or with a tour from local jet boat operator Huka Falls Jet. The number of viewing platforms are set up around the falls that are both easily accessible from Taupo and allow for some great photo ops; a popular tourist track called Spa Park is one of the best options, just a short trip from Taupo with plenty of parking and from which eads to the signed Huka Falls Trail that passes through a range of charming forested areas before emerging alongside the river overlooking the falls themselves. Regular buses make the run from Taupo to the Huka Falls carpark throughout the day, so getting there for those who don't have private transport is a breeze. The falls' combination of force and striking colour are a large part of what makes them unique. A range of other walking and biking tracks in the area around the falls are also available should you wish to view them from a different angle, and these make for decent multi-hour journeys through a blend of exotic and native NZ bush with stops that are ideal for a picnic, with the sound of the falls rumbling in the distance. These range from easy to strenuous and a number of distances, enabling those of all ages and abilities to enjoy the area. Jet boats can often be seen approaching the falls from the viewing areas, and local operator Huka Falls Jet offer tours that make their way across Lake Taupo and approach the falls from the base, which can make for quite a visceral, impressive and noisy experience. 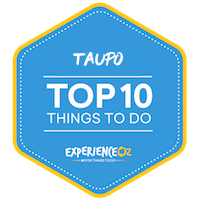 Their tour itineraries cover the falls as well as the surrounding areas of the river, and are the quintessential "Taupo adventure" activity. The Gold Coast's whale watching operators are renowned for having spacious viewing decks on their vessels that provide great, uninhibited views of the whales without disturbing them, so if you've ever wanted to go whale watching or are just a fan of all things marine, then this is another great thing to do in Surfers Paradise. Taking the geothermal experience to even greater heights is the Orakei Korako Cave and Thermal Park, also known as “The Hidden Valley”, which takes the geothermal world of hot springs, mud pools and spouting geysers to a whole other level. Boasting the most active geysers of any park of its kind in New Zealand, Orakei Korako and some of the most diverse colours of any geo-based attraction in the country, and is just 25 minutes' worth of scenic rural drive from Taupo. It also feels far lest “touristy” than similar attractions found in Rotorua, as it's both generally less populated and less commercialised, and efforts have been made to keep the setting feeling as “natural” as possible. Accessed via a lovely short boat trip across a lake, the Geothermal Park is very well laid out and features a number of beautifully constructed wooden walkways that allow for easily-accessed, up close viewing of the various springs and flora contained within. The walk winds its way over the course of roughly 90 minutes from hot pool to spring to silica terrace featuring all the colours of the sulfurous rainbow, and guests are free to linger as little or long as they like while taking in the wonders on all sides. While it can be strenuous at times – the heat of the various steam vents and having to ascend a number of steps can take their toll, particularly on hot days – the effort is well worth it, as the bright oranges of algae , the emerald green of minerals and the vivid colours of the waters make for a unique blend of colours that one simply does not encounter often in nature. Its Ruatapu Cave is also worth a special mention, one of only two such caves in the world to exist in such a geothermal environment, that stretches over 35m down to a crystal-clear pool at the bottom. Capping it all off are the facilities that help augment the experience nicely; there's a well-equipped cafe from which the boat trip to the thermal park departs, with guests even able to use free Wi-Fi while enjoying their food and drink. As Taupo's quintessential geothermal experience, Orakei Korako is the best available example of such a landscape in the area without having to travel a far greater distance. Moving our eyes toward the water, one of the most consistent sights you'll see when paying a visit to Taupo is jet boats plying their speedy trade across the various waterways that populate the area. While some of these target Huka Falls (see below), local operator Rapids Jet instead aims for hitting the various bumps and spins of a narrow canyon in a northern section of the Waikato River that cuts its way through the lush Aratiatia Scenic Reserve. This is a rough and ready waterway that involves some of the biggest rapids available in any NZ jet boat experience, and throughout the roughly 35 to 40 minute journey the experienced drivers will take you at high speeds to perform all manner of bumps, stops and 360 degree spins. This stretch of the Waikato is surrounded by vibrant greenery, with a multitude of overhanging trees that hang over the stunning bright turquoise water of the river that add a hint of sightseeing to what is normally a purely blood-pumping experience, and the powerful boat cuts its way effortlessly through the rushing water. This is a rough and ready waterway that involves some of the biggest rapids available in any NZ jet boat experience. Speaking of water, expect to get doused in lots of it – par for the course for the jet boating experience, and although the first splash can be quite a shock to the system if you're jet boating in Taupo during the coldest months, the boat comes equipped with heated hand rails to grasp onto and help thaw those frozen digits. Raincoats can also be provided upon request should you want to take the extra step waterproof-wise, as well. Preparations for the trip are thorough as the staff put on a safety briefing and perform a life jacket check before heading out, and the history and geography of the river and Taupo region in general are covered in detail by the boat guides along the way. Getting to the jet boating office takes a short and easy 15 minute drive to the north of Taupo, and given the quality of service and the combined dose of adrenaline with sightseeing tour value for money, it's an essential itinerary item for any trip to the Taupo region. Rotorua isn't the only spot in New Zealand that can lay claim to having some amazing geothermal activity – Taupo also holds its own in this regard, and its Craters of the Moon geothermal walk showcases Taupo's landscape nicely. This spot should likely be one of the first stops on your itinerary when visiting Taupo as it serves as a great overall introduction to the region and its geothermal sights, and it takes only around 45 minutes to navigate the main section of boardwalks that wind their way past the various steaming craters and bubbling mud pools contained within. A couple of hours can be allocated if you're wanting to take in the views from the steeper upper lookout, however, and as the panorama it provides is impressive it's well worth allocating the time. This is a truly fascinating landscape that's well-reflective of its name – the walk is filled with scenery that definitely has an eerie, moon-like quality. This is a truly fascinating landscape that's well-reflective of its name – the walk is filled with scenery that definitely has an eerie, moon-like quality – and visitors will have the chance to peer from the walkways over the side to see the active sights below. Each pool in the Craters of the Moon is individually detailed, with information that goes into greater detail on the processes and formation of such natural phenomena, while the different minerals combine to form an array of different colours from one to the next. Colour isn't the only thing this minerals generate, however; on more active days the various gases the pools omit can be quite strong and aren't exactly what one would call “fragrant”, so be prepared to cover your nose if you're the squeamish type. The facility is maintained by both staff and volunteers and as a result a small entry fee is required (the proceeds of which go towards upkeep of the pathways and area and the road and maintenance out to the highway), and after expenses the Taupo Local community benefit with Grants and Local Scholarships to Students. The various viewing platforms on offer offer great vantage points for grabbing a photo or three. Given the minimal time and monetary investment as well as the pure, uncontrolled nature of the area, the Craters of the Moon – which is only around 5km to the north of the Taupo town centre – makes for an ideal first port of call when first getting yourself orientated in the Taupo region. Lake Taupo helps make the Taupo region what it is, so it's only natural that getting out and enjoying its waters is going to be one of the top things to do in the area. Furthermore, sailing is one of the great iconic New Zealand pastimes, and when you combine the two you've got one of the most memorable and peaceful ways to enjoy this massive body of water to the fullest. One of Taupo's core summertime activities, sailing adventures are a staple way to venture out onto the vast expanse of the lake, and sailing boats can be spotted travelling from highlight to highlight or simply floating lazily in the sunshine. Sailing tours to Lake Taupo's range of must-see spots are thus incredibly popular, with different itineraries available to cater to what guests are looking for – whether it be taking in the Lake's famously beautiful sunsets, enjoying a lunch or dinner cruise, or getting an up-close glimpse at its famous Maori carvings. These Maori rock carvings are particularly impressive, over 10 metres in height and only accessible from the water – and despite their relatively young age (they were carved at the end of the 1970's by master carver Matahi Whakataka as a depiction of one of Taupo's original Maori navigators many years ago) they still emanate a sense of spiritual significance that can be felt by anyone who makes the trip out to see them up close. One of Taupo's core summertime activities, sailing adventures are a staple way to venture out onto the vast expanse of the lake, and sailing boats can be spotted travelling from highlight to highlight. The carvings lie in Lake Taupo's Mine Bay, and sailing cruises to reach them provide a great way to get an ideal vantage point for both observation and photography – and the sheltered waters are a great spot for a swim on warmer days. These “Maori” cruises also typically provide a detailed oral history on the original local inhabitants and their customs, which history and culture buffs are sure to enjoy. One such cruise is offered by regional operator Sail Barbary, who provide trips to these local icons at a highly reasonable price point. With a vessel teeming with vintage charm and equipped with on-board audiovisual entertainment as well as various amenities to help make the journey as comfortable as possible, it's both an indulgent - and eco-friendly - way to soak in one of the Taupo region's most famed spectacles. Lake Taupo's waters can only be truly appreciated while navigating through their heart, and sailing cruises represent a satisfying, laid-back and reasonably-priced way to do so. Bungy jumping simply not extreme enough for you? No problem, as Taupo also specialises in taking things even higher with a range of skydiving experiences available that allow the confident (and steel-bladdered) among us the chance to jump out of a perfectly good airplane. The freefall – with options available that allow for jumps of up to 15,000 feet (that's 1,000 feet higher than the average maximum height in Australia) – takes place above all the spectacular natural scenery of the greater Taupo region, and both the dive and the plane ride up provide stunning views all the way out to both coasts on clearer days. This also helps to give skydivers a humbling perspective on just how immense Lake Taupo truly is; it's roughly the size of Singapore, a fact that only truly hits home when viewed from high above. The experience kicks off with a briefing on jump options – such as a choice of altitudes to jump from and camera/recording selections should you wish to purchase video footage of your skydive – and is followed by gearing up and a safety check from your jump master, with crews at all the major skydiving operators in the Taupo region highly regarded for their customer care and willingness to answer any questions visitors may have. The freefall – with options available that allow for jumps of up to 15,000 feet (that's 1,000 feet higher than the average maximum height in Australia) – takes place above all the spectacular natural scenery of the greater Taupo region. Once you're all equipped, it's time to board a light aircraft and embark on a spectacular little flight up above Taupo's amazing geography to the appropriate height (takes an average of 20 minutes depending on your jump choice), during which you'll be able to see various local regional highlights such as the various snow-capped volcanoes of the Tongariro National Park and its vast green expanses of forest and rivers. The jump itself, of course, is the undisputed highlight, and depending on which altitude you've chosen once the green light kicks in and you and your tandem partner leap from the plane, you'll get either 45 seconds (for 12,000 foot jumps) or 60 seconds (15,000 foot jumps) worth of freefall sensation before the chute options and you'll be able to float gentle down to the landing area at the drop zone, taking in all the spectacle along the way. Local skydiving operator Taupo Tandem Skydiving come highly recommended and are renowned for their customer care - in addition, keep an eye out for seasonal specials or which optional extras you'd like to have included to help round out your experience. For a rush and spectacular views at the same time, nothing beats skydiving, and few skydiving spots in NZ can beat Taupo. If you're looking to dial things back a notch during your time in the Taupo region, the steamy enjoyment that Wairakei Terraces offer are one of the best spots in the area to do so as the geothermally-heated waters of its various hot pools go a long way to soothing tired muscles and aching bones. The attraction is quite visually striking to look at, featuring a series of silica terraces filled with naturally mineral-rich waters that have played a large role in Maori healing techniques for centuries and which face a wonderful outlook surrounded by rich native bush that takes on a whole new life during the winter months. Snowfall only serves to add an extra layer of charms to the surrounds, as the white tableau contrasts beautifully with the vivid blue of the pools – and there's simply something to be said about relaxing amongst soothing waters while delicate snowflakes fall into your skin. The pools themselves are beautiful and clean – largely due to a respectable lack of over-commercialisation – with varying temperature levels in each pool that range from warm to almost-too-hot, and graduating from one level to the next is a pleasant process. The terraces, while they look natural, are actually man-made, however the water they flow with is completely organic, and it's quite possible here to spend several hours simply soaking in the minerals and steam and unwinding while taking in the surrounds. The pools themselves are beautiful and clean, with varying temperature levels in each pool that range from warm to almost-too-hot, and graduating from one level to the next is a pleasant process. Wairakei Terraces also offers a dose of culture in the form of a traditional Maori performance show which takes place in the evenings that incorporates song, dance and an authentic Hongi greeting that involves the touching of noses between two people. The experience is capped off with a traditionally-prepared Hangi meal and, of course, that most Maori of performances – the Haka. Options also exist for visitors to take a guided tour “back stage” that showcases different parts of the terraces and surrounding area, which helps provide a historical perspective and put the surroundings into context. There's even the chance to take relaxation to the max and get yourself an indulgent personal massage! Lastly, one important thing to bear in mind when visiting Wairakei Terraces is that no children are allowed (the minimum age of entry is 14), which can either be a blessing or a curse depending on if you've got kids along for the trip (or perhaps just a blessing if you're able to leave them in someone else's care!). This leads to maintaining a quieter and more peaceful atmosphere, which is what most people are looking for from a facility such as this. Relaxation is the name of the game at Wairakei Terraces, and its blend of surrounds, soothing waters and escapist atmosphere contribute to it more than living up to this reputation. There are few activities that are more “New Zealand” than bungy jumping, and Taupo's answer to the extreme activity is one of the best available in NZ. One of the main regions for this is the scenery; while first-time jumpers will likely have one too many butterflies in their stomach to fully appreciate it, the Taupo Bungy site is in an impressively picturesque spot on a cliff top above the Waikato River just upstream from Huka Falls (see further below) which offers wonderful views of the water below and the greenery beyond. The adrenaline rush provided by the jump is the undoubted highlight however, and Taupo's bungy experience includes a 47 metre free-fall towards the water awaiting below; and this site's unique cantilever design allows for something that sets it apart from others: the “water touch” option, in which you'll have the option to splash into the river below getting anywhere from just your hands to your entire body wet! The staff at Taupo Bungy are a key highlight as well, which might seem an odd thing to tout as a feature – however for those battling nerves the personal attention and patience they show can go a long way to establishing a feeling of comfort before taking the plunge. The adrenaline rush provided by the jump is the undoubted highlight however, and Taupo's bungy experience includes a 47 metre free-fall towards the water awaiting below; and this site's unique cantilever design allows for something that sets it apart from others. The facility also has a pristine track record as far as safety is concerned, with all the latest in harness and bungee equipment both utilised and properly maintained to a fault. Options are available for both solo and tandem bungy jumps, so if you're wanting to share this bucket-list experience with a friend then you're free to do so upon request. For those who are a little too squeamish to book a jump but still wish to see their friends participate, they're welcome to join along up the top of the viewing tower to take in the scenery and grab their own snapshots of their buddy making the jump. Post-jump, video and photo documentation of your plunge are available in both DVD and digital forms, and while not exactly cheap, they're still essentially a must-buy as they're far higher quality than what most will be able to capture personally. In all, most will say you haven't truly “done” New Zealand unless you've done a bungy, and with its combination of scenery, service and splashes, Taupo makes for one of the best spots in the country to do so. It’s no secret that New Zealand is the adventure capital of the world and Taupo has so many extreme adrenaline pumping activities to push you out of your comfort zone including a ‘cliff hanging experience’. This is New Zealand’s most extreme swing operating 44 metres above the Waikato River. Similar to a bungy jump, dare devils will strap in for a free fall swing experience. Soak through the skies reaching speeds up to 70 km an hour and swing feet first above the river from the cliffs edge right down to crystal clear waters below before arcing up again at nearly 180 degrees. If you would like to give bungy jumping a try but are just too squeamish to go head first then this may be the perfect solution for you. Up to two riders can jump on the Taupo Cliffhanger so you can find emotional support or simply have a laugh with a friend. If the potential adrenaline rush is not enough to tempt you then perhaps the amazing views of Taupo from the cliff will help you decide to give this incredible yet safe experience a go. The Taupo Cliffhanger is open to everyone between the age of 10 with the oldest participant so far 90 years old! The Taupo Cliffhanger experience is available daily from 9.30am to 5pm. Take a walk on the wild side and step out of your comfort zone in beautiful natural surroundings with the Taupo Cliffhanger. Food is always going to be a primary focus of most people's trips regardless of destination, and this attraction-slash-restaurant in the Taupo region puts a little bit of a spin on the standard “point, order and eat” experience. Huka Prawn Park, which sits just a few minutes from the Taupo town centre, is a successful enterprise in aquaculture that allows visitors to try their hand at catching prawns themselves before, *ahem* throwing their shrimp on the barbie – and while it might sound easy, it's a task that actually requires some skill and patience. Guests looking to take part are provided with bait and poles as the facility's staff drop a few pointers and techniques in order to assist in the catch. There's no time limit on how long visitors can stay or how much bait they can use, either; so if you're the patient type you'll likely eventually come away with something to show for your efforts. These aren't your average small prawns, either; catches of up to 35cm happen often, which provides a substantial amount of eating for a single catch! Set in a wonderful locale right along the river, Huka Prawn Park is far more than just prawn-catching, however; it's been expanded in recent years to become a full-blown attraction in itself and features numerous things to keep both adults and kids entertained. Adventure playgrounds provide an opportunity for the kids to exert themselves physically if they lose patience with the prawn fishing, while various interactive water features allow the chance for both fun and cooling off during the warmer months. Set in a wonderful locale right along the river, Huka Prawn Park is far more than just prawn-catching; it's been expanded in recent years to become a full-blown attraction in itself and features numerous things to keep both adults and kids entertained. There's also a “nursery” for baby prawns that allows for hand-feeding sessions that is always a favourite amongst children, while adults can kick back and relax by taking a foot spa in an idyllic spot directly overlooking the Waikato River watching the jet boats and other water traffic go by. There's even the chance to hit a few golf balls at the “Killer Prawn Golf” activity where participants aim to smack them through rings floating in the prawn ponds. Capping it all off is the Huka Prawn Park restaurant, which offers both the chance to cook any prawns you've catched (or have the restaurant do it for you), and a very-prawny menu that's famously fresh with produce straight from the prawn farm – plus, the chance to dine outdoors alongside the beautiful river while enjoying the seafood adds an even more enjoyable atmosphere to the proceedings. Other non-seafood dishes are also available for those who'd prefer an alternative, while there's a separate menu that caters to kids as well. If you're planning to visit Huka Prawn Park it's better to arrive early as it can take a substantial amount of time to catch prawns if you're unlucky, plus this gives you extra time to enjoy the rest of the highlights at the attraction. Regardless of if you're planning to visit for a couple of hours or the whole day, if you've got a hankering for seafood or are looking to keep the kids entertained in the Taupo region, then Huka Prawn Park is a great way to while away a day.